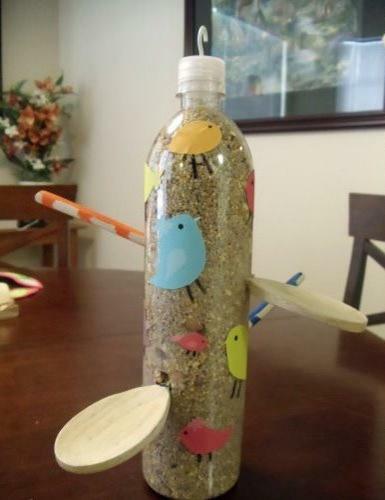 Making bird feeders for the back yard and garden is fun and easy craft ideas. 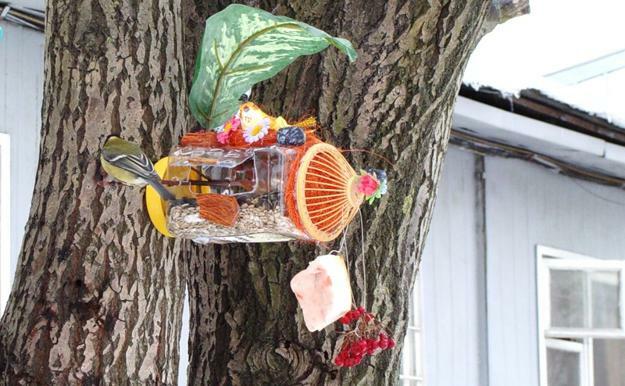 Lushome shares inspiring designs that show how to recycle plastic bottles for bird feeders and add unique and functional items to backyard designs. 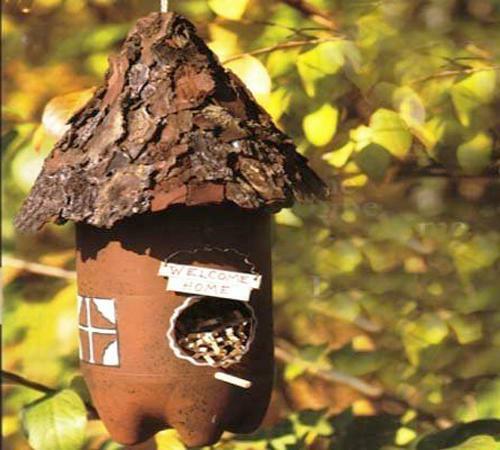 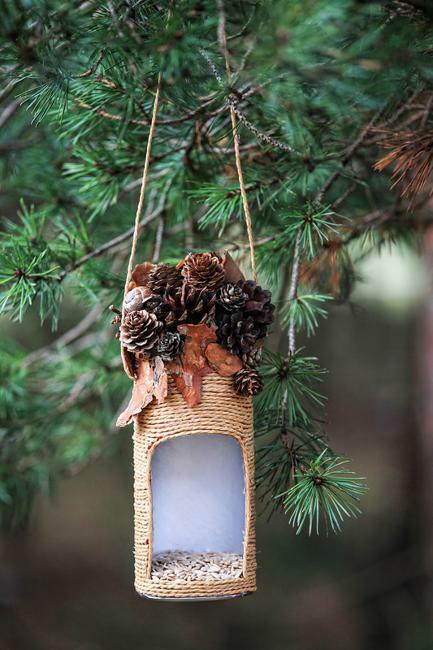 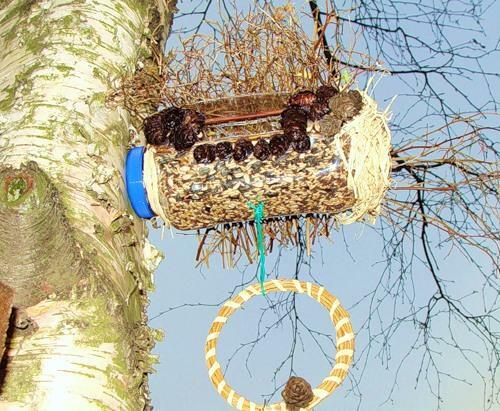 These recycled crafts will help feed the feathered friends of the back yard and keep them alive through winter months. 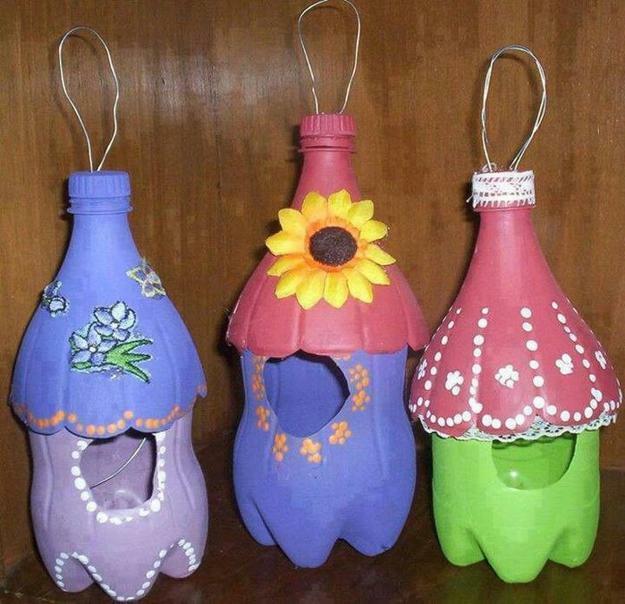 Recycling offers many amazing craft ideas. 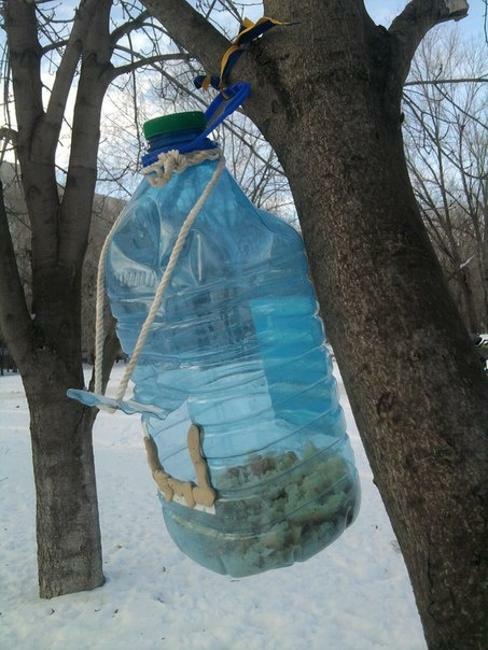 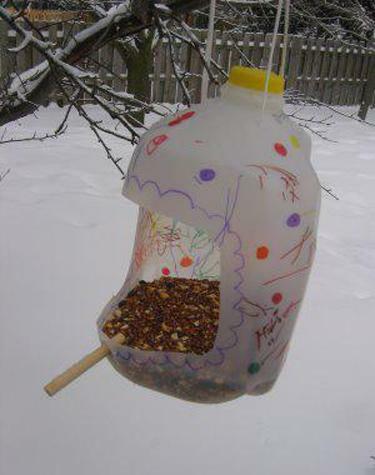 Bird feeders, recycling plastic bottles are great example of cheap ideas to reuse and recycle trash. 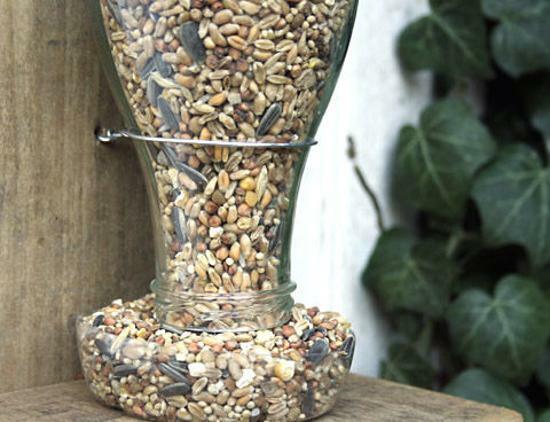 Here are a few inspiring bird feeder designs you can use to make these useful and beautiful yard decorations. 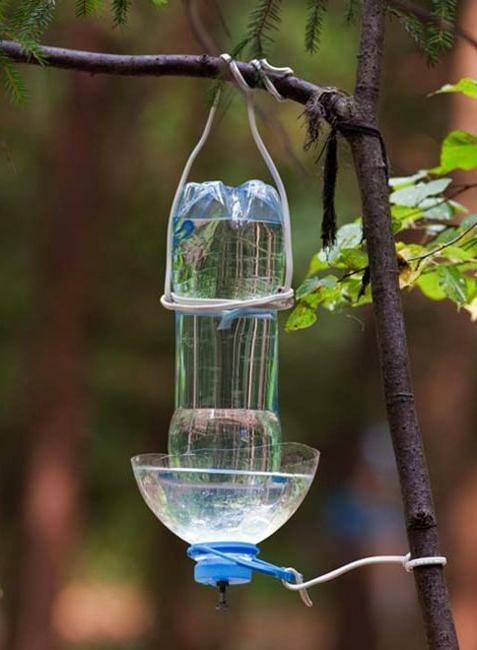 Rinse plastic bottles out thoroughly and let them dry completely. 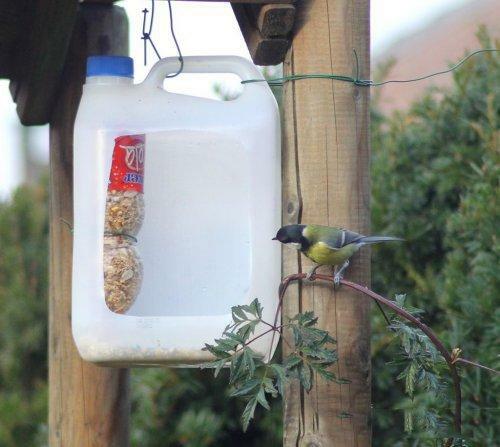 It is very important to dry empty plastic bottles or the birdseed will stick to the moisture and spoil. 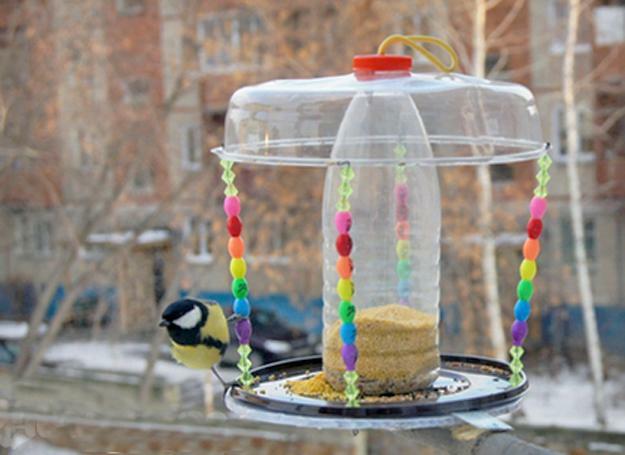 Choose your favorite bird feeder design idea and turn the plastic bottles into unique yard decorations that help birds. 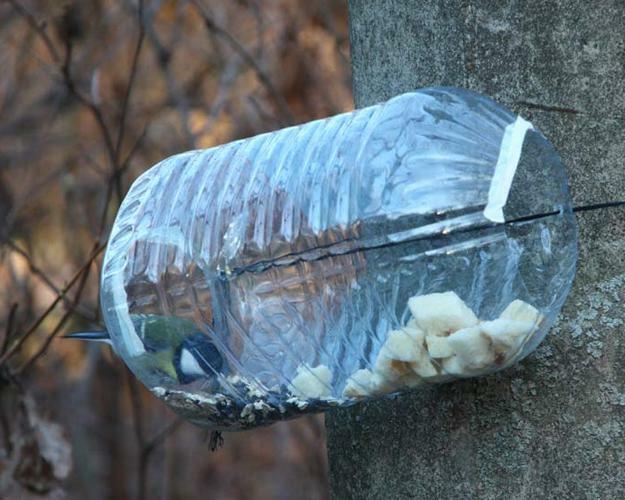 There are many bird feeder models that demonstrate how to recycle plastic bottles for the yard decorations. 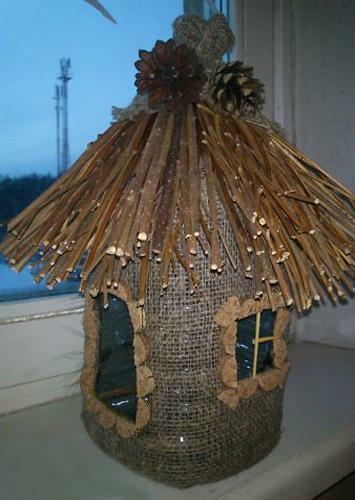 The main thing is to create a roof and a place where a bird can sit and eat. 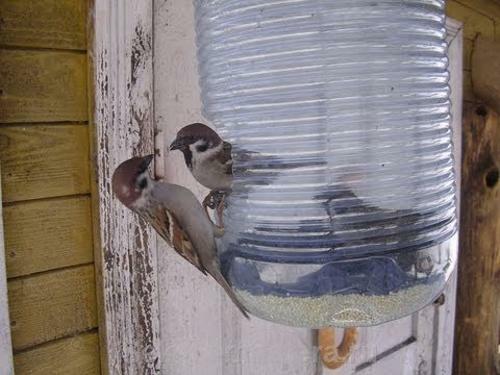 Poking two holes through an upper part of a bird feeder lets a string or wire through the holes to suspend the bird feeder. 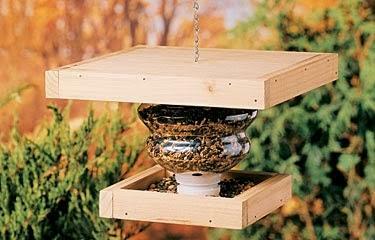 Also a bird feeder can be nailed to a wooden post, fence or wall outdoors. 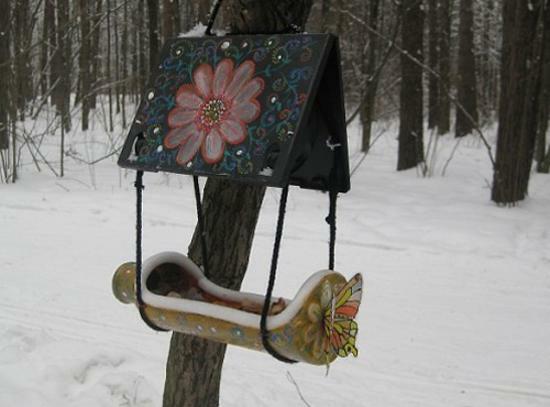 You can decorate your bird feeder with salvaged wood pieces, natural rope or tree bark. 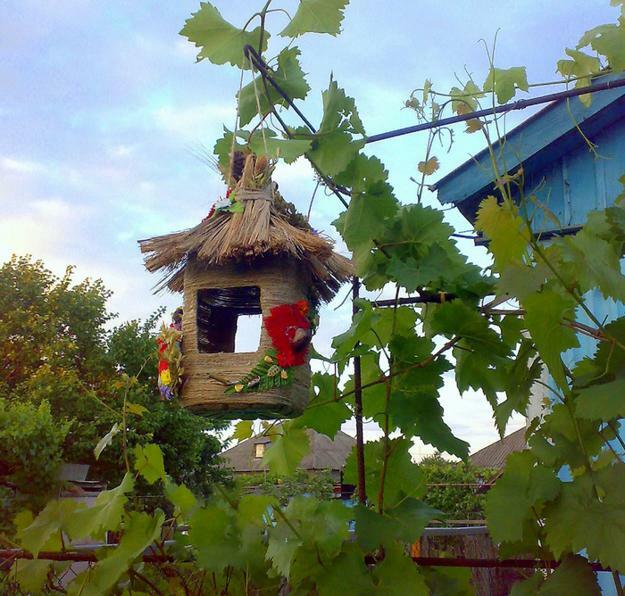 All sort of creative decorating ideas beautify the backyard designs. 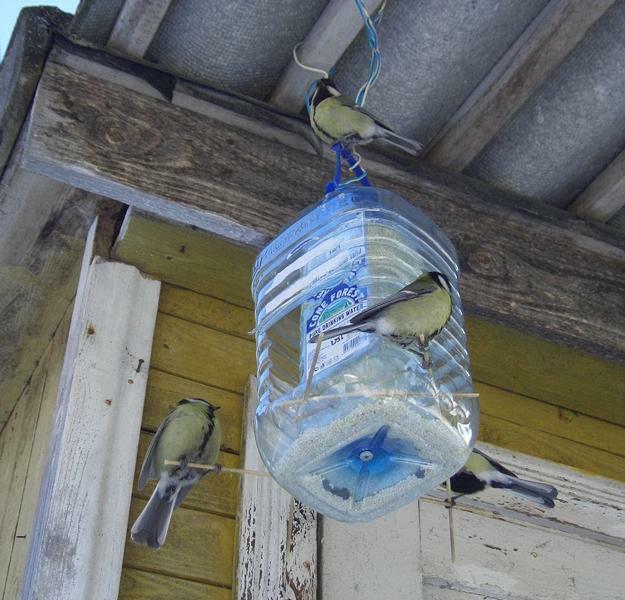 The collection of original bird feeders show how to recycle plastic bottles and decorate handmade bird feeder designs in eco style. 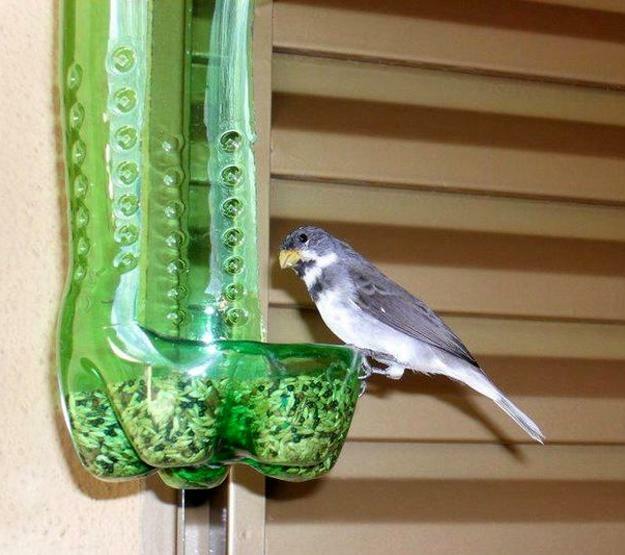 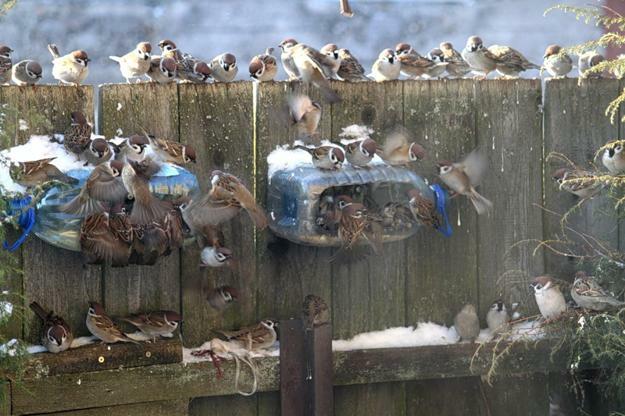 Take the feeder to a location where the birds can eat without being bothered by other small animals. 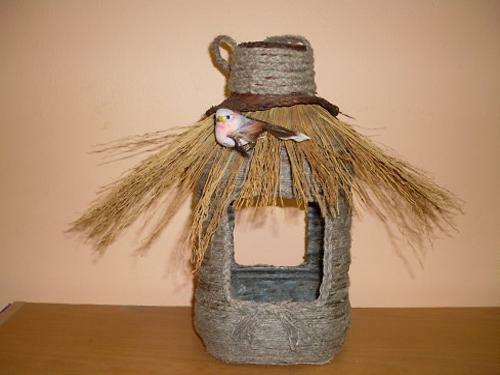 You will enjoy your simple bird feeder more if you can see the birds eating out of your new recycled crafts. 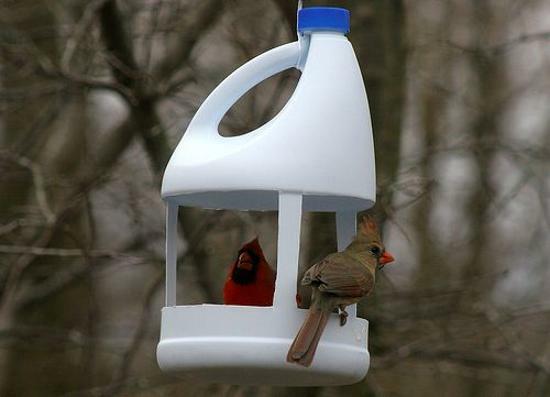 It is nice to see how the trash can be turned into useful items. 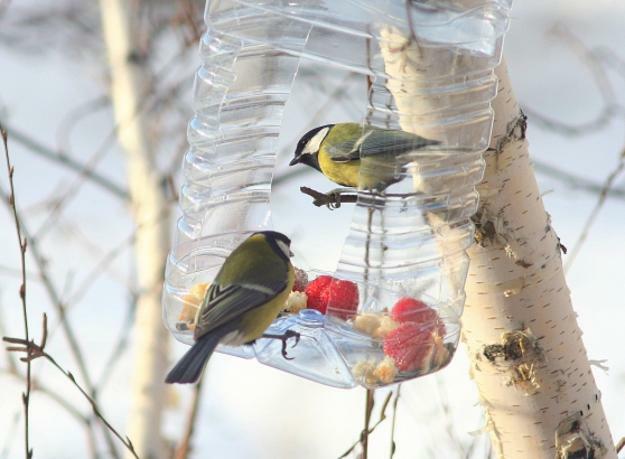 Teach your friends how to recycle plastic bottles for simple bird feeders, which help birds in winter to say healthy and happy. 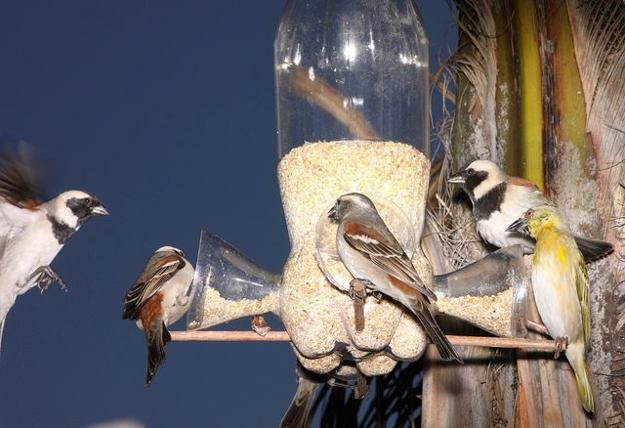 It is beautiful to give a hand to our feathered friends and create wild life friendlier environment around us.